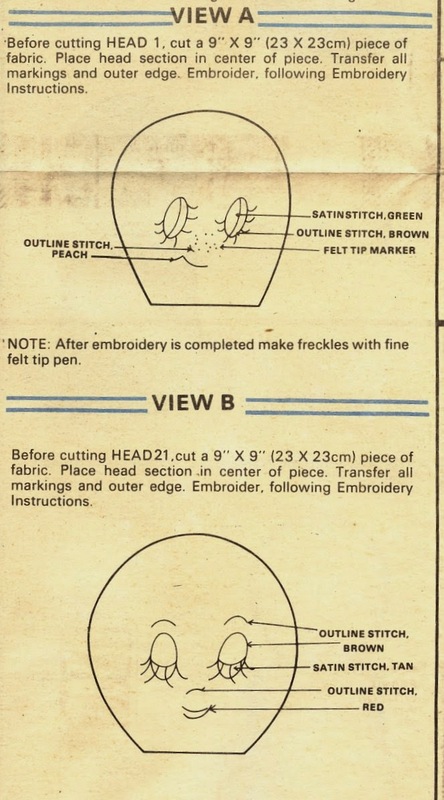 Butterick pattern #4313 is not dated, but the style of the envelope indicates it is probably from the late 1970s or early 1980s. It makes a girl doll is 17" and 21" sizes with large side-glancing or downward-glancing eyes and an old fashioned dress. The dolls have fairly simple construction. The facial features are to be embroidered before assembly. The back of the head is made from two pieces to give it some shape. The hands are almost mitten shape, with just the suggestion of fingers, and their feet have a flat sole piece. They have long yarn hair in two slightly different styles. 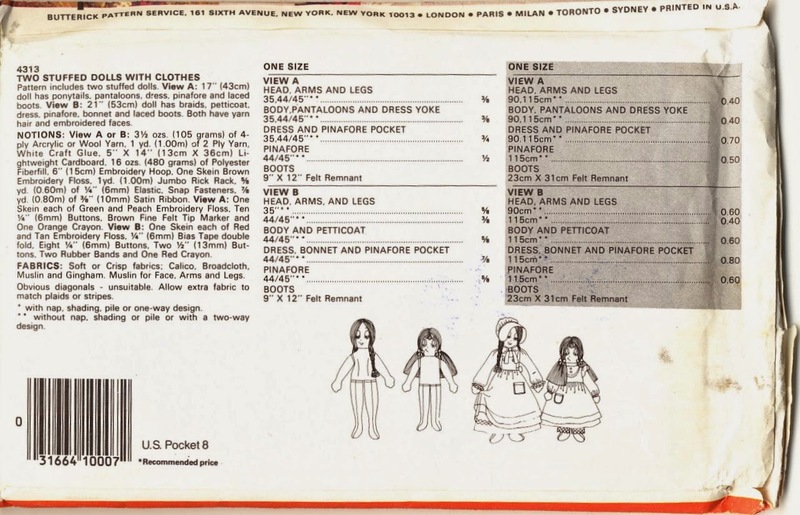 The dolls wear similarly styled dresses with long sleeves, pinafores with pockets and felt boots. The larger doll has a bonnet and petticoat, while her smaller sister's shorter skirt shows the pantaloons underneath. 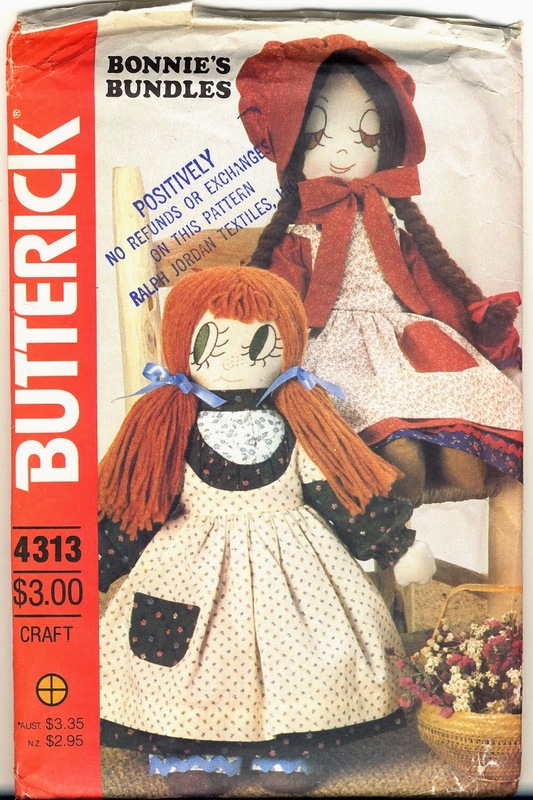 "Bonnie's Bundles" is the trade name of Vermont doll artist Bonnie Watters, who presumably designed this pattern, although she is not otherwise credited on it. Mrs. Watters is still in business and you can purchase a handmade doll just like these from her website. Butterick published other "Bonnie's Bundles" patterns including a white-haired Grandma doll, and a pair of baseball-head dolls with monograms for eyes.